framework is sleek, curvaceous, solid and robust. resin compound which is completely heat, UV and frost resistant, with composite aluminium filings within the texture … completely removing any “plastic look” from the design. Microban(R) mesh sling is of the highest commercial grade and easy to remove to change colour, for washing or for replacing. 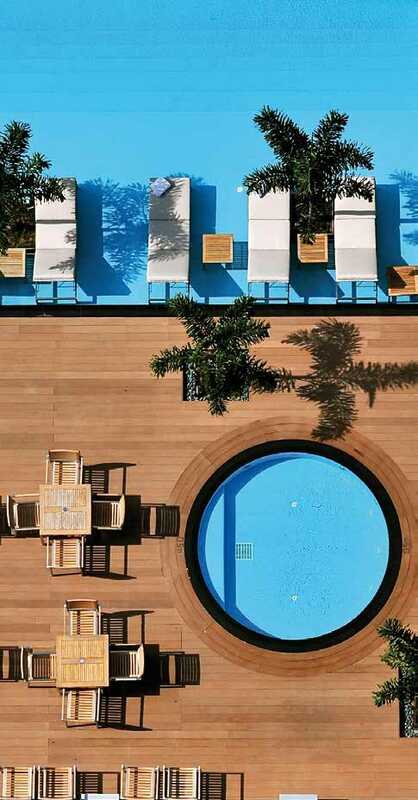 ideal for high-wind balconies, cruise ships, pool decks and resort beaches. matching designs for bar, dining, lounge and sunlounger, ideal for both long-term commercial or high-end home use. 5 YEAR COMMERCIAL WARRANTY. 5 YEAR RESIDENTIAL WARRANTY. EGO Paris have added to existing families of outstanding design innovation for Luxury Outdoor Furniture in 2017. Additional new designs and new on-trend accent colours and patterns to add timeless elegance to any architectural or interior design project. Winner of the Red Dot Design Award and recognised as one of France’s leading designer brands, setting new benchmarks in customisation and innovation. 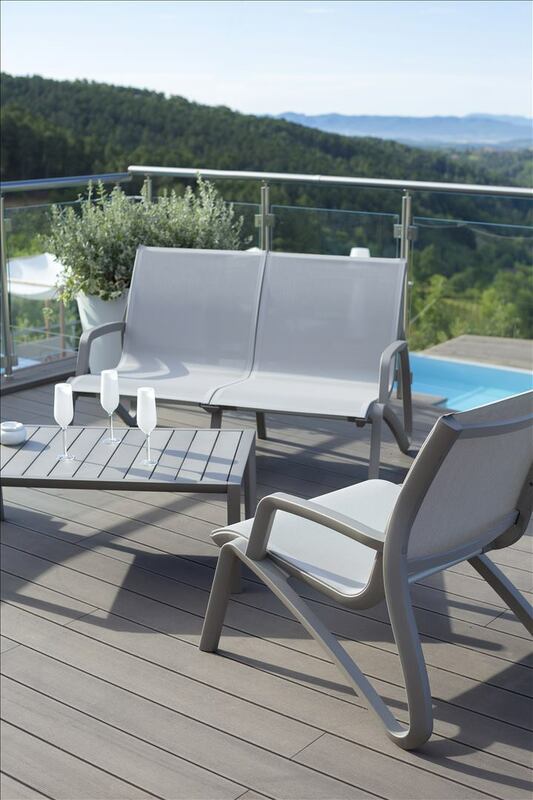 Since the foundation of the family business in 1954, M.B.M are manufacturers of high quality outdoor furniture. Their passion is to create bespoke furniture for daily use which will withstand the rigors of the marine environment and the harshest climates on Earth, be it used for Residential or Commercial Locations. Materials such as wrought iron, mesh and Resysta®, allow M.B.M to develop new signature designs to bring fresh new themes throughout their collections. Resysta® is truly a non-slip, fire-retardant timber-look material, composed of unique recyclable materials and patented worldwide. Available to be made in 30 Colours for customised production and also fully repairable, with densities just as strong as any hardwood. Resysta® has shaping properties that you would not normally find with traditional composite materials or outdoor solid timbers. Resysta® will not deteriorate, not be damaged from chlorine or salt residue and will heavily resist fading, cracking, warping and will not swell, regardless of any moisture. Tested to International Standards to withstand the harshest of heat, frost and UV raditions. Resysta® will simply out-perform any other type of timber-look composite material available on the global market. 100% made in-house at the MBM Furniture Factory, Resysta® is manufactured with German precision, quality control and technology. The exciting MBM Outdoor Furniture Collection, will be available for trade projects and retail stockist markets, across Australia, by Classique from 2017.